We’ve had two salads so far out of the salad table (which now has a Useful Shelf, see? I’ve taken the cover off as the plants are large and pretty much squirrel-proof). See my previous post for photos of the cover. These are the mix called “Easter Egg.” They were in fact ready for Easter this year (admittedly Easter was late). 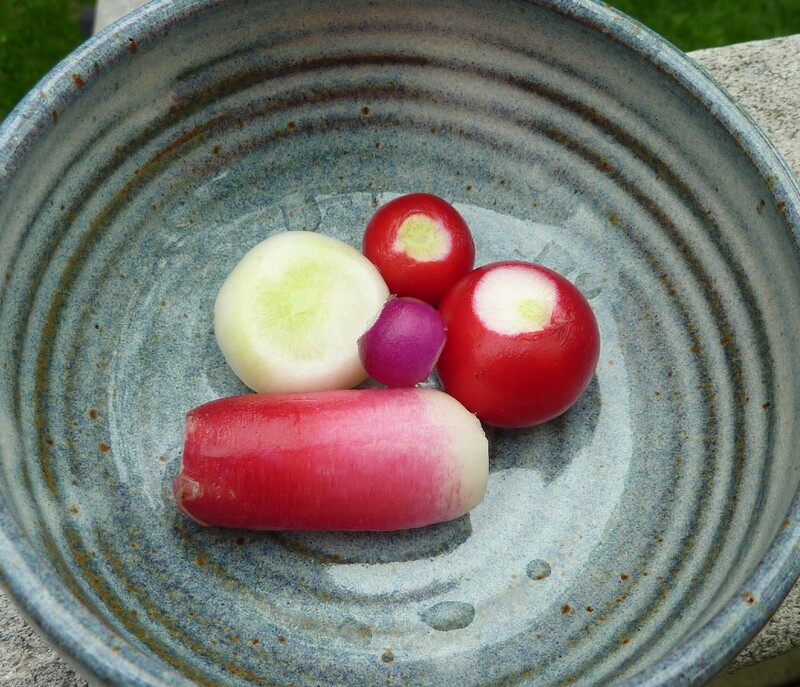 Radishes in a salad table or other shallow container (four inches deep at least) are a great crop for kids, who will like pulling them out even if they aren’t quite ready for the sharp taste (all the more for the adults, I say). Do any of you remember the Mrs. Piggle-Wiggle books? I loved that story about Patsy who wouldn’t take a bath, so her parents were advised by Mrs. P-W to let her get thoroughly dirty, so much that she had a layer of soil on her arms deep enough to plant radish seeds in – and when the radishes were grown, Patsy was ready for a bath! Not entirely realistic, perhaps (radishes have a little taproot and lots of big green leaves (which are edible, by the way)) but an entertaining idea. Don’t try this at home, youngsters! But do try growing a quick crop of radishes. 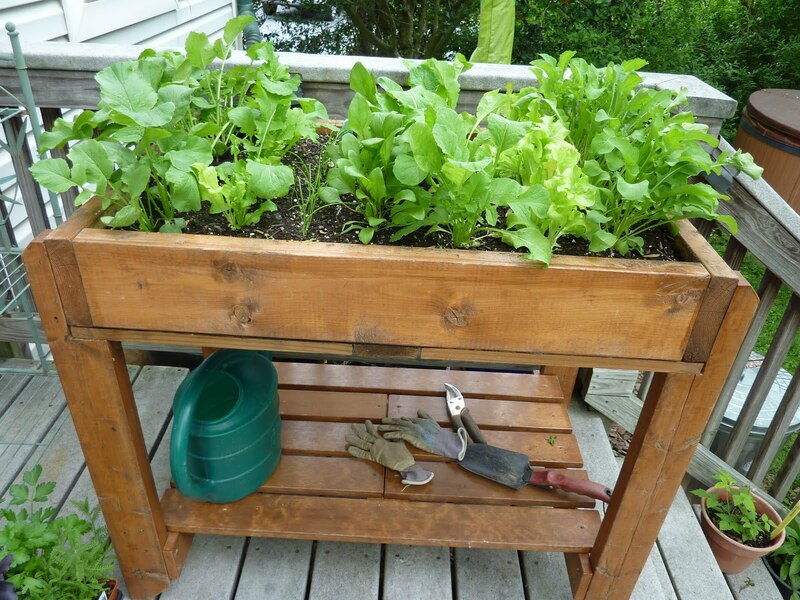 Love that salad table! My older daughter loved Mrs. Piggle-Wiggle – don't remember the Patsy story. that's pretty sick actually. I think you don't want to think too hard about most of the Mrs Piggle-Wiggle stories, actually. But even when I was six I'm sure I knew you couldn't grow radishes on someone's arms. Dirty skin, yes; actual soil profile, no.